EMPANADAS – That’s what we do here! Tango’s Empanadas opened in October 2006 in Boise, Idaho. Since then we have had the pleasure of introducing empanadas from Argentina to Idaho. In 2016, we opened our second location in Nampa, ID and we also have an Empanada Truck that travels to events and festivals. 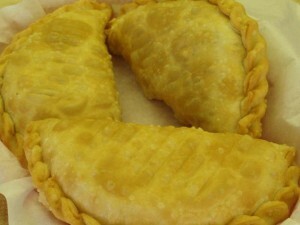 In Argentina they are a pastry filled dough, half moon shaped with beef, veggies or sweets. They can be baked or fried. We take pride in our EMPANADAS ( EM – PAH – NAH – DAS). Because we are a Mom and Pop establishment, we cook for you as if it was for our family. Only the best ingredients and with love. We also make sure to stick to green energy as possible, we try to be smart with our coking plus we make sure to do the washing and drying of the dishes the old fashion way, which is the best for the environment. We also encourage you to only use your high energy appliances when needed. For example, why bother heating your entire oven if you’re cooking a small meal/just for one. Investing in a halogen cooker will not only speed up the time your food takes to cook, but it will also help lower your energy bills. We found a good guide on these here. Check our menu and find your empanada! We sell yerba mate, gourds and bombillas along with other imported Argentinian products, also don’t forget that we have Elegant Touch Catering services available for any of your events. 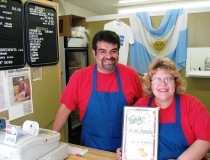 At Tango’s Empanadas we are family, and we treat you like our family! You will always be treated as such and we love to see you leave with a smile and know we have made yet one more friend. You can dine in or take out, our phone number is (208) 322-3090. We now offer lunch boxes for business meetings or your special occasions. From our family to yours, since 2006, thank you for stopping in, may you have an excellent day and remember, we’d love to serve you and try a taste of Argentina in Boise. Gracias (thank you).